After the election results splashed breaking news headlines and social media feeds across the country early Wednesday morning on Nov. 9, some Boston students shouted with rage with chants of, “not my president” ringing through downtown in a three-day string of protests. 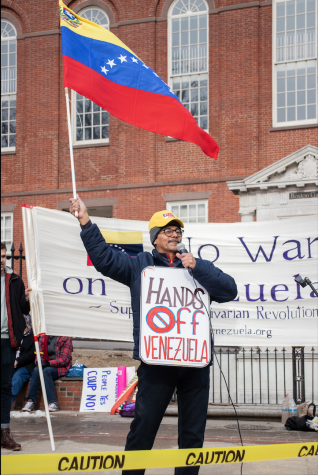 As for Suffolk University, this such clear divide was no different than the rest of the country with mobs of students swarming Boston Common and the main steps to the Massachusetts State House to demonstrate their right to protest the votes for president-elect Donald J. Trump. Although, not all students at Suffolk took the results of the election negatively. 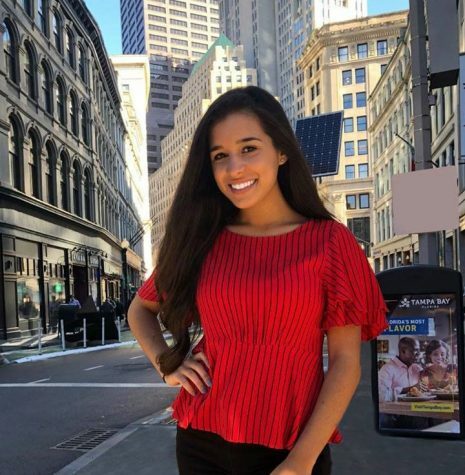 Sydney Strachman of Mansfield, MA considered herself a Trump supporter throughout the campaign trail and stayed true to her candidate despite some of her classmate’s disapproval. Strachman, who said she thought her classrooms were one sided when they discussed the election– whether it be from professors or students– said she did not feel validated with her opinion. On Nov. 12, Strachman wrote a letter to administration which highlighted the one-sided classrooms and how she would be “attacked” by her peers for her opinions. The email was sent to Acting President Marisa Kelly, Acting Provost Sebastián Royo, Dean of Students Ann Coyne, College of Arts & Sciences Dean Maria Toyoda, Assistant Dean of Students Elizabeth Ching-Bush, Associate Dean of Students Shawn Newton and Assistant Dean of Students John Silveria. Strachman said Royo had been the only person to reply to the letter as of Monday morning. 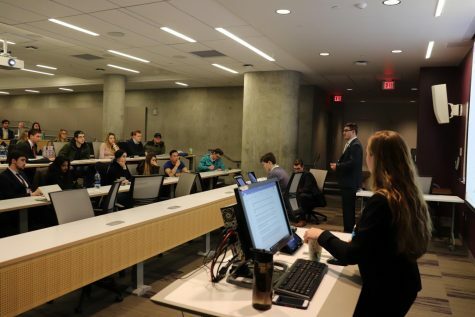 On Nov. 17, the Student Government Association (SGA), led by SGA President Sean Walsh in the front of the room with his executive board, held their weekly meeting where few seats were left empty as Strachman read her letter to the SGA senators and student attendees. 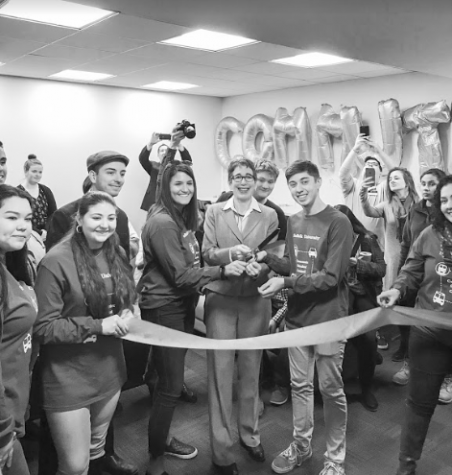 Strachman gave an introduction that explained that in many areas of campus, such as classrooms and dormitories, she said she felt as though her opinions on the election were of “no importance here” because she said her views did not align with the majority of the student body. Strachman went on to explain that many faculty members were allowed to hold peace circles and moments of solidarity. “For your vision to ensure ‘that Suffolk graduates are versatile and prepared for modern society,’ you have failed,” read Strachman as she looked to the SGA senators below. Next to Strachman, sat President of Suffolk Republicans Courtney Schopke and member Ani Hollisian. 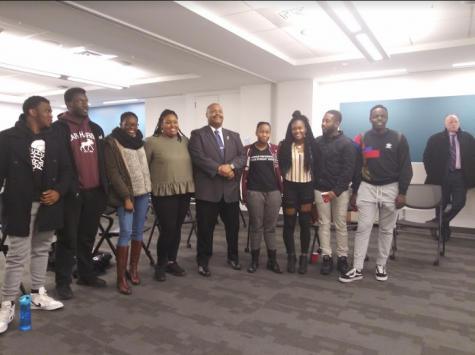 On the other side of the same table in the lecture hall sat Black Student Union President Stacey Daniels, self-proclaimed student activists Tim Clancey and Tiffany Martínez, senior Stephanie Breen and senior Emma Feathers. After Strachman read the letter, she explained that she had come to Suffolk from a working-class Jewish American family. Strachman said that her father was a burn victim as a child and as he “works like a dog to make ends meet,” he has to go under surgery once again. After Strachman ended her presentation, Walsh thanked her for presenting her letter and there was a round of applause. Senator for the Class of 2018 Levi Smith spoke first, and said that even though he is “as liberal as it gets,” he understands how hard it is to be retaliated against. “What I do want to say is, and I want to make it public, is that I do support you that Suffolk should be neutral,” said Smith. Senior Emma Feathers stood and spoke on behalf of a student who has remained unnamed. Feathers read a statement from the student that highlighted that Suffolk is fully committed to uphold an inclusive environment and that it is important for all students at the university to respect those fears that some now have after the nation elected Trump as the next president. President of Suffolk Republicans Schopke was the first to stand next and speak. “We are a Suffolk family and we shouldn’t be any more divided than what the media has done,” said general member of the Republicans group Alexander Marcus. Phyllis St. Hubert, Senator-at-large for Diversity spoke passionately against the letter. Editor’s Note: Sydney Strachman is the Lead Copy Editor for The Suffolk Journal. She does not report the news or edit for content on news articles.